A custom twist on Gunnebo’s industry-leading OptiStile 720 optical turnstiles is now installed in the headquarters of one of the country’s most popular eating establishments. In searching for a custom product to help secure their main lobby environment, the Atlanta, GA based company selected Gunnebo to partner with toward a complete solution. 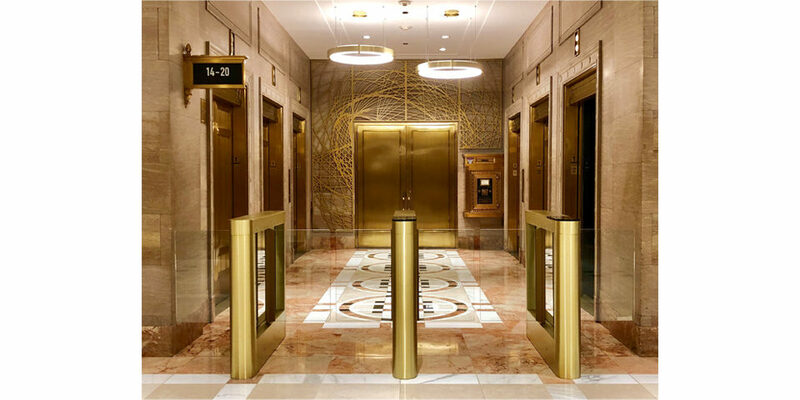 The main design objective, in addition to providing superior entrance security, was to deliver a product finish that accentuated their lobby environment and blended in with the open nature and welcoming personality of their company. The design process was a back and forth exercise which included a lot of input from the customer design teams working closely with the Gunnebo design team. 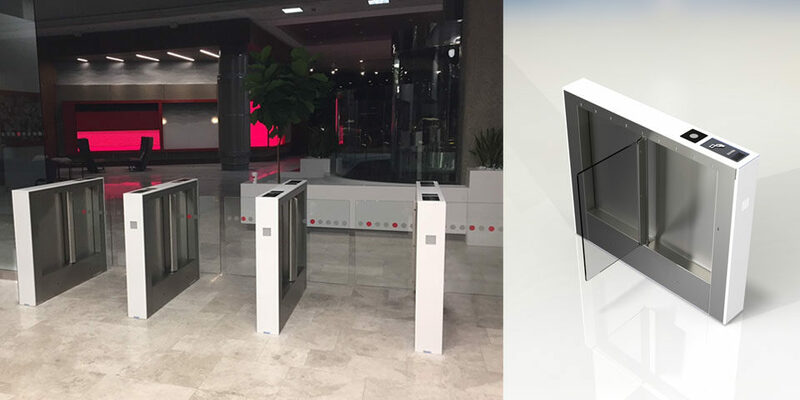 Gunnebo provided custom 3D drawings and renderings during the design phase and the finish product included customized OptiStile 720 optical turnstiles with swing glass barriers, Glacier White Corian lids and front-end panels, LED lighting, and reader integration. 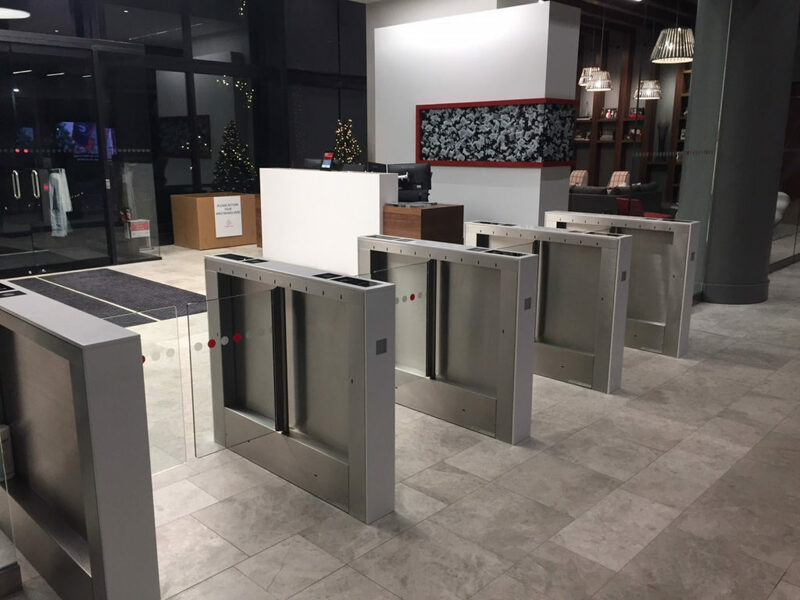 Upon installation, Gunnebo provided a seamless transition from a lobby with no entrance control devices to a solution that complements the design of the building while adding necessary, unobtrusive security.